A recent poll of the British public revealed that 39% believed that Jeremy Corbyn was anti-Semitic and 43% believed there were high levels of anti-Semitism within the Labour Party. Whilst the Labour Party has been dogged by accusations of anti-Semitism, the Conservative Party has also been accused of Islamophobia by figures such as Baroness Warsi. The results of new polling reveal that the public do not believe that the Conservative Party has a particular problem with Islamophobia relative to the other main parties. 24% of respondents said there were high to very high levels of Islamophobia (4 and 5 on a 1-5 scale where 1 meant low levels of Islamophobia among the political party’s members and elected representatives and 5 meant high levels) compared to 23% who believed the same for the Labour Party and 13% for the Liberal Democrats. There is a partisan divide however with only 16% of 2017 Conservative voters rating their party 4-5 compared to 36% of Labour voters and 46% of Liberal Democrats. 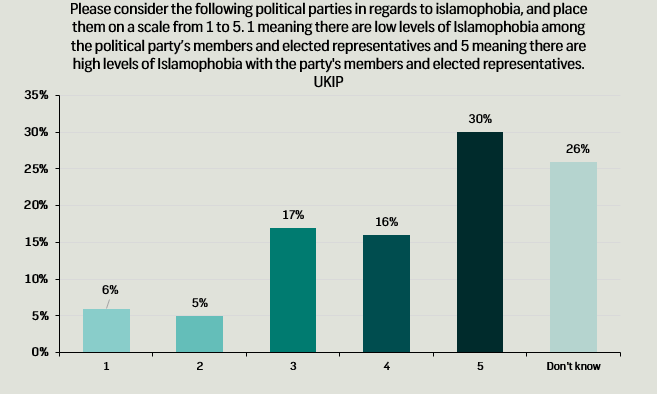 Rather than the Conservative Party, the public believes that UKIP suffers from high levels of Islamophobia with 46% putting 4 or 5 on the scale. This is a view shared by 46% of 2017 Conservative voters and 56% of both Labour and Liberal Democrat voters. Labour and the Liberal Democrats are considered by 31% of respondents to have low levels of Islamophobia (1-2) compared to 25% for the Conservatives and 11% for UKIP. 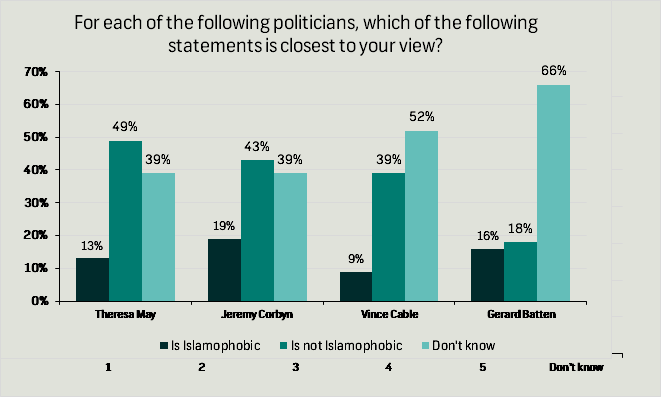 When looking at the leaders a higher percentage believe Jeremy Corbyn is Islamophobic than Theresa May (19% against 13%). This could be explained by a partisan divide with only 6% of Conservative voters believing Theresa May is Islamophobic compared to 21% of Labour voters; whereas 25% of Conservative voters believed Jeremy Corbyn is Islamophobic compared to 12% of Labour voters. Only 9% said that Vince Cable was Islamophobic and 15% believed the same about Gerard Batten. The high percentages of respondents who said they did not know (39%, 39%, 52%, 66% for each leader respectively) could reflect the fact that the coverage of the Conservative Islamophobia debate has focused on the party unlike the Labour anti-Semitism divide which has focused on both party and leader. 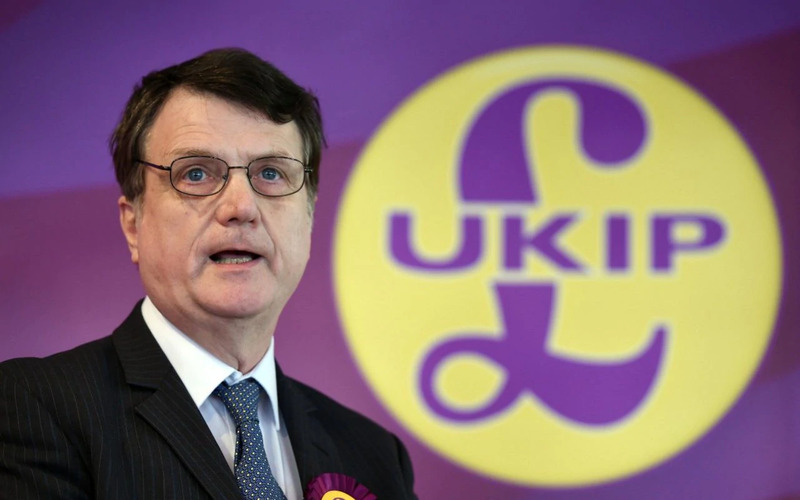 In the case of Gerard Batten the don’t knows is likely due to the public not being aware of the current UKIP leader – in a recent poll 72 percent either expressed no opinion or didn’t know when asked if they viewed him favourably or unfavourably (32 percent and 41 percent respectively). Survation polled 1017 residents aged 18+ in the UK online. Fieldwork was between 31st August and 1st September 2018. Tables can be found here.